For general inquiries, questions or comments please use our contact or the email or phone number listed below. 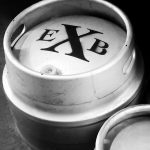 If you are interested in having our beer on tap at your bar or restaurant please contact Brian Yeo, Niagara Region (brian.yeo@exchangebrewery.com) or Teddy Fedoryn, GTA Sales (teddy.fedoryn@exchangebrewery.com). Come meet the friendly staff and brewers, see how our beers are crafted and enjoy delicious tastings. 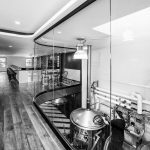 You will explore The Exchange’s historical building and learn all about the unique brewing and barrel-aging process of our award-winning beers. by email: info@exchangebrewery.com or by phone (905) 468-9888.